Surely there must be better and more positive ways to refer to the UK’s 2,000 or so bike shops than IBD? It’s not an attempt at political correctness, more a recognition that it’s time to start practicing what we preach. 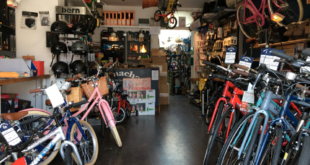 After all if we want more people on bikes bought from ‘proper bikes shops’ surely the term IBD sells us short, and feels more like market trader or hobbyist, than modern retailer? Of course it’s a trade term in the main and customers generally don’t use it, but why not start the process of change in our own backyard before we tackle the bigger challenge of getting the message out to Joe Public? It’s quite a challenge. The term IBD has been in use for decades (BikeBiz editor Carlton Reid imported it from the US in the 1990s), but maybe it’s time to consider adopting a new term which better describes what cycle retailers are about, and what they aspire to be? To help gauge opinions I have created a poll to ask the bike trade if they agree that the term IBD is outdated and what a more appropriate term could be. The options include ‘Specialist Cycle Retailer’, ‘Local Bike Shop’ and ‘Independent Cycle Retailer’’. Respondents can also suggest their own alternatives. At the time of writing, the over-riding response is that yes, the term IBD does need changing. The most popular option at present is Specialist Cycle Retailer. However some respondents have suggested Professional Cycle Shop and also Your Local Specialist Cycle Shop. Whether any of these become the new term only time will tell. You can have your say at www.actsmart.biz and even come up with something new. It might seem like a minor thing to be proposing, but it’s part of something bigger. Surely it is important for an industry to be talking about one of its most significant assets in a way which is both positive and contemporary? The term IBD is now so heavily ingrained that I’m sure very few of us ever consider what it actually stands for, and ultimately what it really means. I would like to think that in this day and age, with growing competition, diverse brands, multiple niches, trained mechanics, different retail formats, highly technical products, sophisticated customers and businesses run by smart passionate people, that shops are doing a bit more than simply ‘dealing’ in bikes. 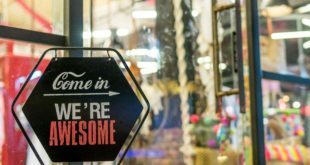 If we want to educate the consumer then I think part of that needs to come from how we refer to shops and position them within our own industry.